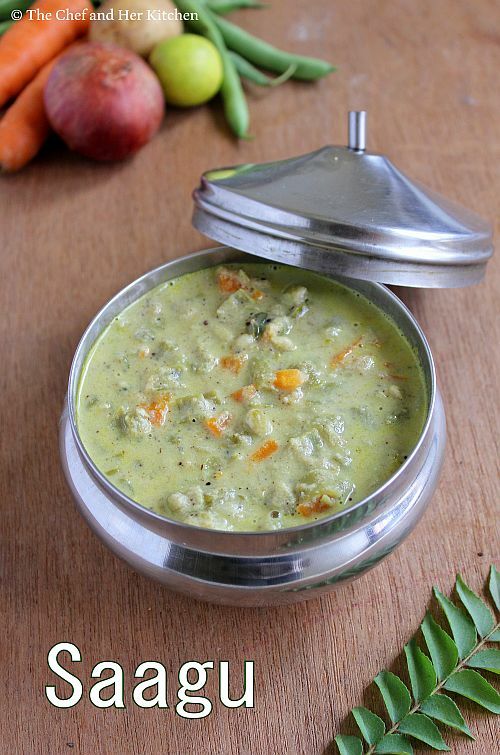 Mixed Vegetable Sagu or Saagu, as we call is a famous combination for breakfast varieties like Set dosa and Poori and is served in most of the darshinis and hotels in Karnataka.My favorite combination is with Set dosa and infact Set dosa-Sagu is my most favorite breakfast and would not miss to order it in my favorite darshinis when I visit Bengaluru. This not only tastes delicious but it is also a good way to add vegetables during the breakfast time. 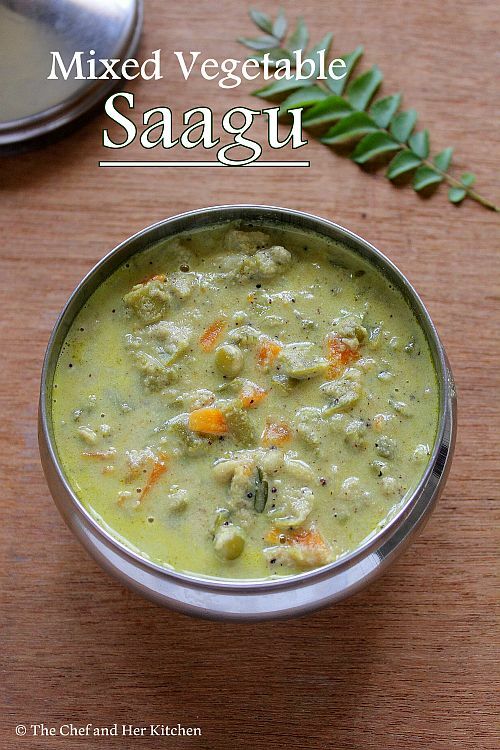 Saagu tastes much different from the Mixed Vegetable Kurma though we find the ingredients are much similar. 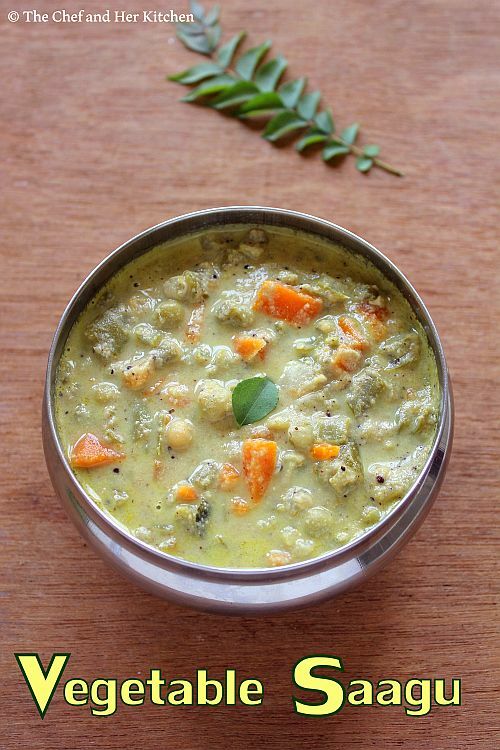 Serve hot with Poori or chapathy or Set dosa or Atukula dosa. Healthy and delicious looking preparation. Excellent pics. Excellent recipe. Turned out very good. Thanks! 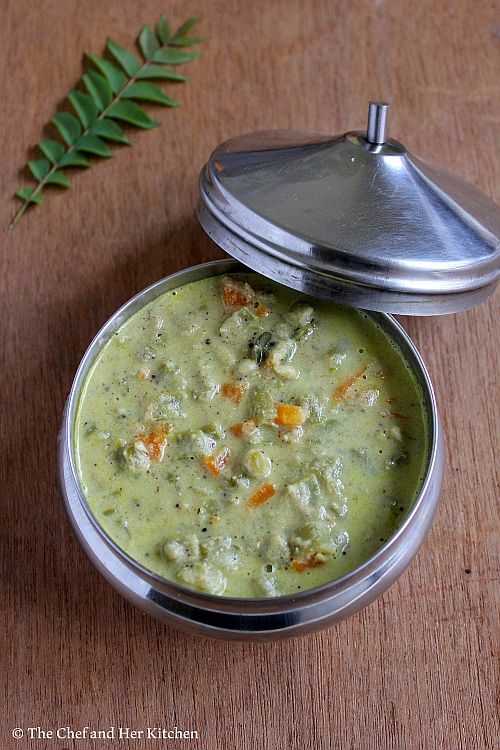 Reminded me of my B'Lore Days :0)) Thank you for this recipe. 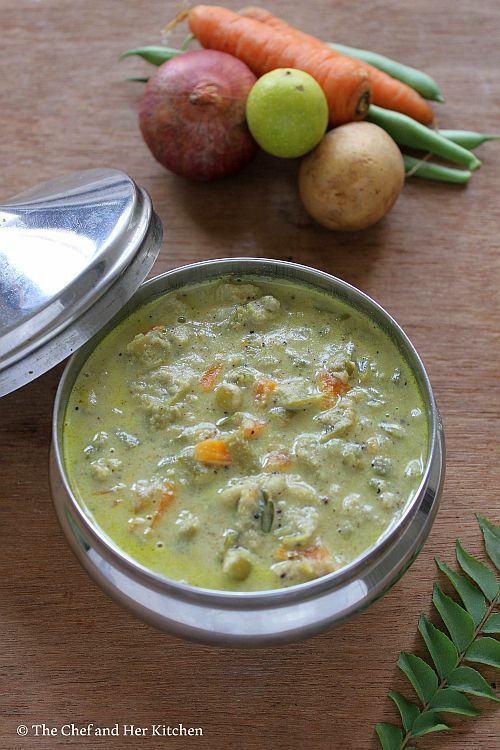 What would replace Marathi Moggu without changing the taste much ? I don;t get Marathi Moggu here.